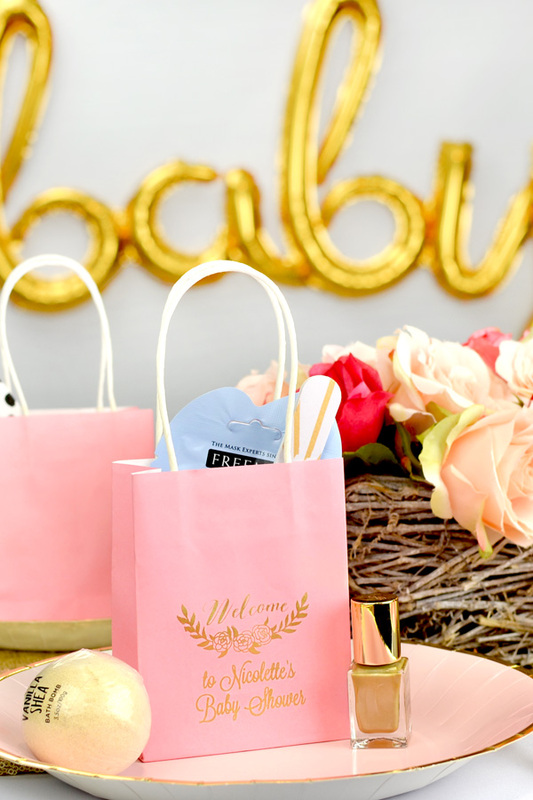 Surprise guests with thoughtful and adorable custom printed miniature favor bags filled with goodies at your baby shower. Made from kraft paper in your choice of 12 colors to match your baby shower theme, these small gift bags are custom printed with a baby shower or gender reveal design and two additional lines of text. Each bag features a sturdy, twisted white handle. Choose from a variety of designs, imprint colors, bag colors, and lettering styles to customize these favors your guests will adore. Place on your favors table for a fun take-home gift or at each place setting as a fun conversation starter. 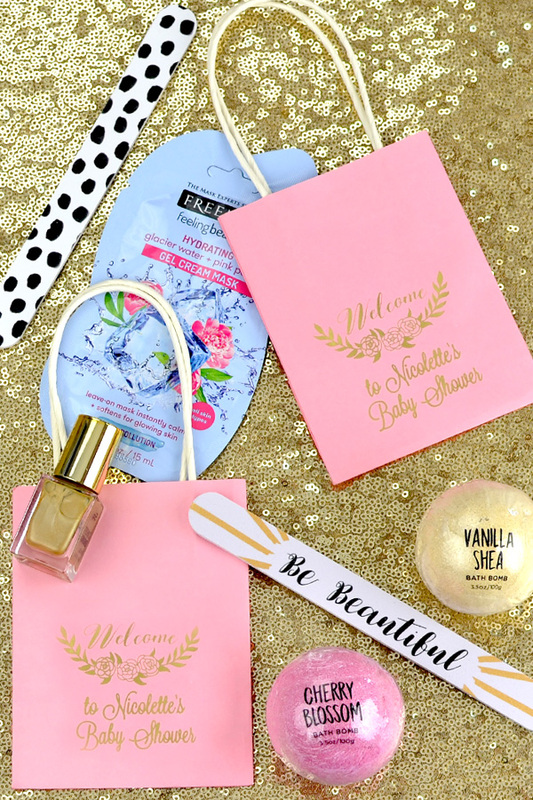 Surprise guests with adorable miniature gift favor bags custom printed with a baby shower or gender reveal design and two lines of text. Each bag measures 4" wide x 5" tall x 2" deep. Ordered these gift bags for my daughters baby shower. The process was easy and the product was just what I ordered! Perfect gift bags for my guests. Thank you!